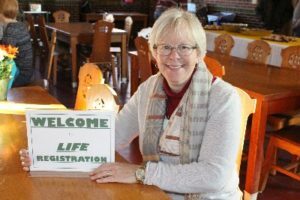 The final 2019 winter/spring LIFE class is “Exploring Spiritual Formation” led by Kathleen Geraty Davis. The Certificate and Elective courses will meet together for this class. This was reschedule from the original event date of January 19. Throughout time, we’ve been gifted with wisdom figures whose insights bring us deeper into the mystery of God. Our time today will be spent with a choice few. We’ll learn from their experience and reflect on the messages they offer for our own spiritual growth. As themes unfold, we’ll discover the relevance and urgency their messages carry for our present world. With suggested practices, our day will conclude with the call for all of us to recognize and allow our own inner Mystic to emerge. Kathleen Geraty Davis is a spiritual director and retreat leader. She is an adjunct Instructor and Director of the Graduate Certificate in Spiritual Direction Program at Aquinas Institute of Theology in St. Louis, Missouri. 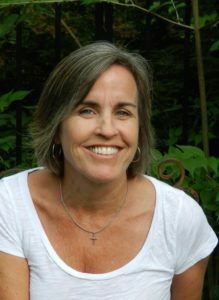 Kathleen’s retreats and lectures encompass a wide range of spiritual topics, her favorites include the wisdom of the mystics, feminine spirituality and the interconnection of all of creation. She and her husband Jack live in Kirkwood, Missouri. They have been married 32 years and are the proud parents of three amazing 20 something’s. The LIFE Class allows you to choose between the Certificate Course or the Elective Course. Certificate Course: "Exploring Spiritual Formation"
Elective Course: "Exploring Spiritual Formation"